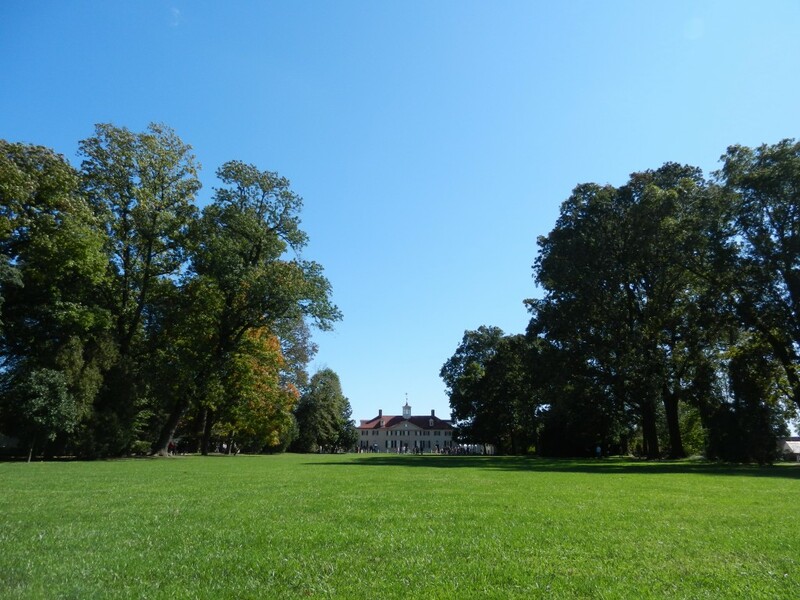 Mount Vernon was George Washington’s home. 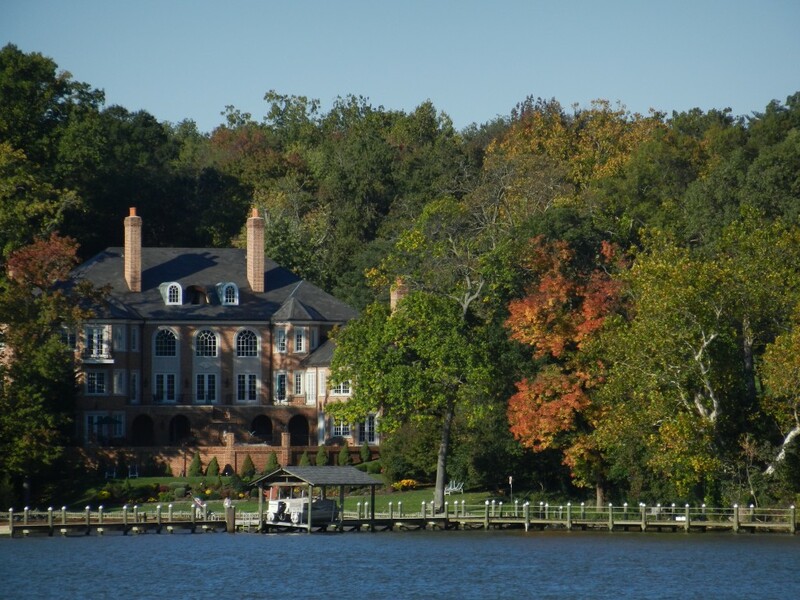 It is a lovely plantation mansion built on the shores of the Potomac River 90-minutes away from Washington DC by boat. The boat trip out to Mt Vernon was interesting in itself. Quite a few of Washington DC’s interesting buildings sit facing the river – from the Naval Research facility with its mysterious roof domes, to the US Intelligence something with its complete lack of windows, to General’s Row where the top-ranking brass get mansions of their own, to the War College which looks a lot like a power station. As you leave Washington behind there are more and more trees with a tinge of Autumnal red just setting in. Dotted amongst the trees are the houses and estates of the better-off locals providing an interesting contrast with the surrounding greenery. It’s not quite the fall colours we’ve been seeking, but you can see where it’s going. 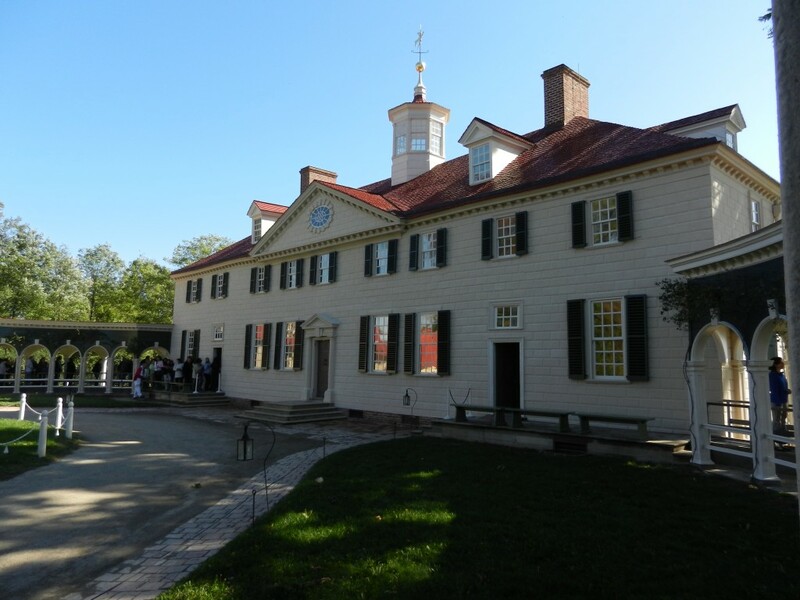 Mount Vernon was interesting in itself as a lovely old house and well-preserved indicator of how the rich and famous of the time lived when supported by over 100 slaves. There are some great little touches in the house – a key to the Bastille presented by Lafayette and Washington’s chair, complete with food-pedals that powered a fan above his head. The attached museum was also fascinating with a lovely clear presentation of his life and times. The highlight, rather strangely, was seeing his dentures – impossible to look at without wincing.